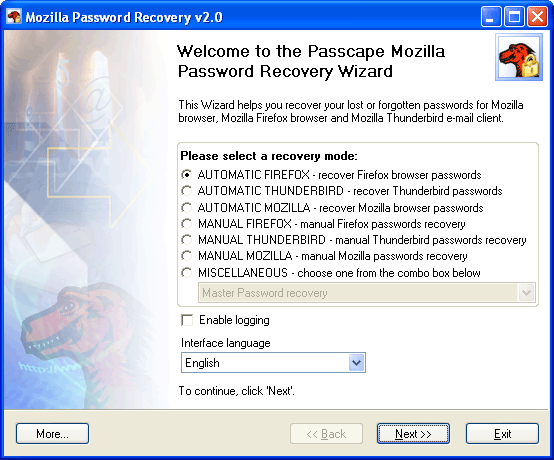 Mozilla Password Recovery manual modes allow you to set the program recovery options manually. You have to know at least two things for successful recovery. Decrypted URLs are highlighted in blue. You can open the location by double-clicking it. 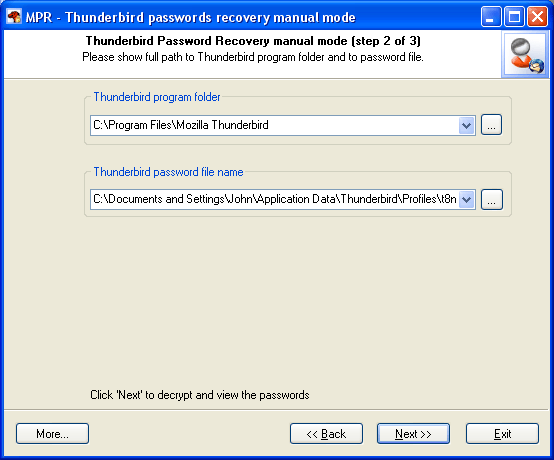 Password items are highlighted in red.